US lawmakers are concerned about the stability of Saudi leadership during Crown Prince Mohammed bin Salman because of the murder of journalist Jamal Khashoggi and the war in Yemen. Multiple unnamed "whistleblowers" have come to warn about White House attempts to speed the transfer of highly sensitive US nuclear technology to build new nuclear power plants in Saudi Arabia, according to The staff report by the House Oversight and Reform Committee. 9 letter to the White House. 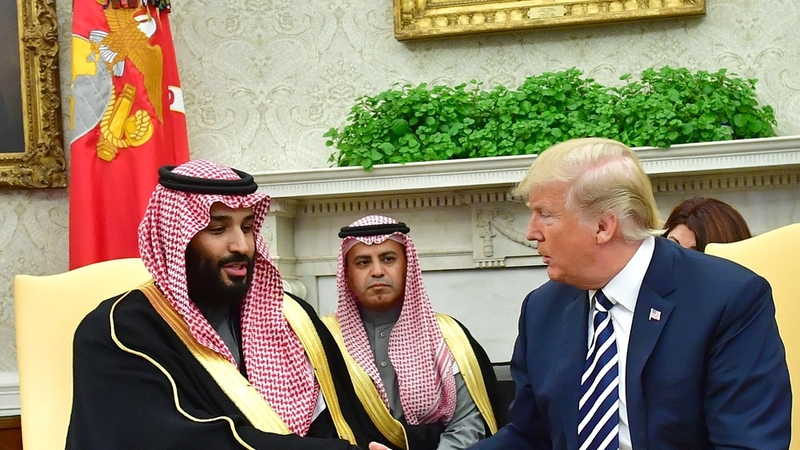 A key target of the oversight committee's inquiry is an effort by IP3 International, a consortium of nuclear power producers that started lobbying during the Trump transition in late 2016 and early 2017 to win presidential approval to develop nuclear power plants in Saudi Arabia. Most recently, Trump with on February 12 with the IP3 International representatives and the CEOs of major US nuclear energy producers to discuss developing nuclear power plants in Jordan and Saudi Arabia, a meeting that w as initiated by IP3's founder, Army General Jack Kea retired, according to the committee report which cited Bloomberg News. The IP3 proposal has been repeatedly promoted to White House officials by Thomas Barrack, according to the report. Barrack is a personal friend of the president who raised $ 107m for Trump's Inaugural Committee. US prosecutors in New York are investigating the inaugural committee activities. Cummings' new claims documents and emails from the White House related to their discussions of potential nuclear power development in the Middle East. Whistleblowers "warned about a working environment inside the White House market at chaos, dysfunction and backbiting. have dismissed political appointees ignoring directives from top ethics advisors at the White House who repeatedly and unsuccessfully ordered senior trump administration officials to keep their efforts, "Cummings said in the letter. proposal offered by Jeff Merkley, an Oregon Democrat – with support from Senator Rand Paul, a Kentucky Republican – six to block Saudi Arabia from developing bomb material from enriching uranium or using plutonium from any future power plants.